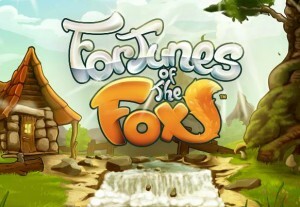 Foxy Fortunes is an online video slot game developed by Playtech and available at most online casinos that host Playtech Vegas slots, including SlotsClub.com. Most Playtech slots are free online slots, and this one is no exception. Sample the machine before you play with actual money, or simply play the game for free as much as you’d like. 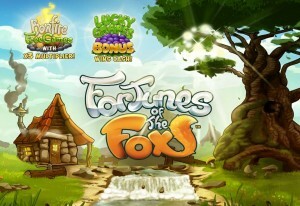 The Foxy Fortunes slot machine has five reels, three rows and 25 bet lines. You can choose how many bet lines are active per spin, and that count will simply act as a multiplier to your bet. The game caters to low- and high-rollers alike. It has UI features like Bet Max, Auto Play and even Turbo Mode, which speeds up the reel action considerably so that you can squeeze more spins into the free time you have available. Foxy Fortunes has a cartoon aesthetic, and the entire theme feels a lot like a classic cartoon. The main character Foxy is a Bugs Bunny like character who’s harassing a camper for grapes he’s rinsed and now hung out to dry. The camper also has a hound who works feverishly to sniff Foxy out. Why the camper hung his grapes out on tree branches is anyone’s guess, and it’s probably best not to overthink it. The symbol set includes Foxy the fox, a camper, his hound dog, a tent, a cooking pot and of course the grapes. The camper serves as the jackpot symbol, which can pay out up to 5,000 coins. The set also includes the standard poker symbols: A, K, Q, J, 10 and 9. Foxy Fortunes has a wild symbol that can substitute for any symbol other than the scatter symbol. 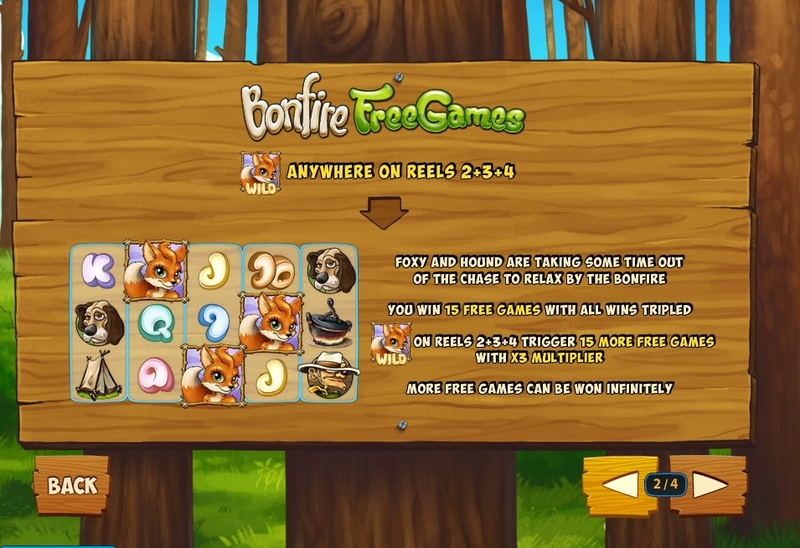 The wild dual serves as a bonus symbol, and when it lands on reels 2, 3 and 4 on the same spin, the Bonfire Free Games mode is activated. This bonus includes 15 free games played at the same bet amount of the last standard spin and includes a 3x multiplier that’s applied to all winnings. 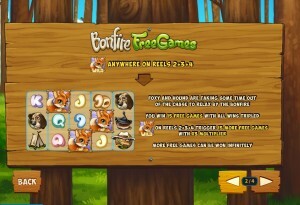 It’s also possible to win an additional 15 free games, but 30 games overall is the max for any one free games session. 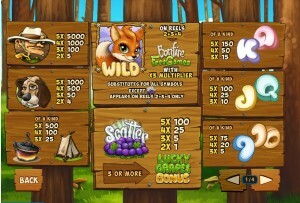 The scatter symbol pays out up to 100 coins and launches the Lucky Grape Bonus with three or more. This bonus has you choose one of a six bunches of grapes to reveal a prize. There’s also a random bonus available if Foxy fails to catch all six bunches as they fall from above. Finally, Foxy Fortunes offers handful of symbol subsets that can be mixed and matched to win lines: cooking pot and tent, K and A, J and Q and 9 and 10. 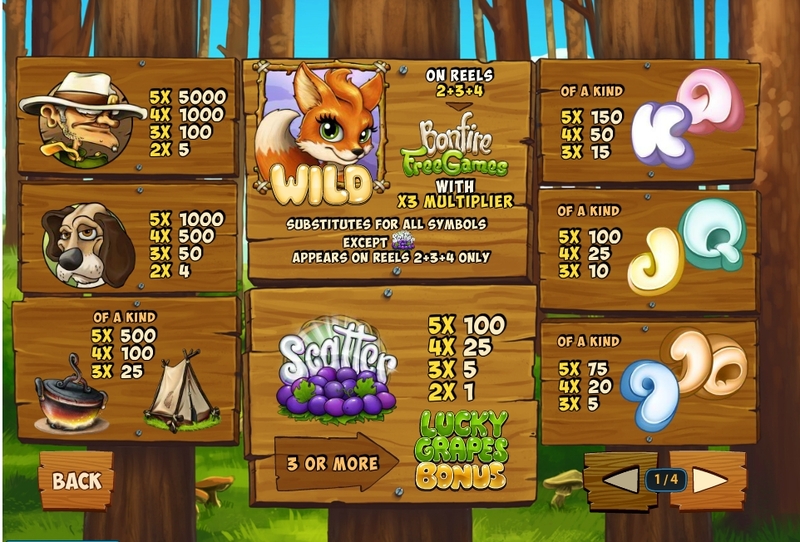 The first thing that stands out about Foxy Fortunes by Playtech is its art style. The game uses vibrant colors and has a very distinct aesthetic. All of the characters that make up the symbol set have a lot of personality and that makes them memorable. The main character Foxy is as cute as can be. Foxy Fortunes also has fun animations on the reels, good spin action and effective music and sound effects that are used to sparingly in order not to grate on the player over long play sessions. You can play for as little as a penny or as little as $0.25 with all lines active. It also has an Until feature that all online slots should include, and it allows you to set the machine to continue spinning until you win something.